Major Depressive Disorder is considered a mood disorders which includes distressing symptoms such as sadness and emptiness, affecting sleep, eating and work functions. Those suffering from major depressive disorder often described themselves as feeling “blah,” and have lost interest and motivation in activities that use to bring pleasure or joy. To be diagnosed with major depression, the symptoms must be present for at least 2 weeks. While a depressive episode can occur only once, most depressive episodes are reoccur throughout a person’s lifetime. Major Depressive Disorder – symptoms are consistent, occurring almost all day and nearly every day for two weeks. Persistent Depressive Disorder – characterized by depressive episodes occurring nearly every day for at least two years. Disruptive Mood Dysregulation Disorder (DMDD) – is a childhood mood disorder characterized by severe and recurrent temper tantrums, anger and irritability that is disproportionate to a situation or circumstance. The average onset of DMDD is around 10-years-old and requires a diagnosis by a licensed psychiatrist or mental health therapist to rule out other a differential diagnosis such as ADHD, anxiety or oppositional defiant disorder. Genetics – The causes of depressive disorders aren’t fully understood, but studies have found that depression is common in people whose first-degree relatives – parents, siblings – also have the illness. Brain structure – Recent studies have shown that those who suffer from depressive disorders appears to have changes in brain structure. While more research is needed, finding may help with determine the cause of the disorder. Hormones – Changing hormones may play a role in depressive symptoms, particularly in women who undergo hormone changes before and after pregnancy, as well as during menopause. Trauma – Those who experienced a traumatic event, including sexual abuse, violence or the death of a loved one. Genetics – Those with first-degree relatives who suffer from depressive disorders are at a great risk of having the illness. Personality traits – Those who struggle with low self-worth and self-confidence are at a greater risk of symptoms. Substance or alcohol abuse – Those who are abusing alcohol or drugs, as well as those are struggling with rehab or recovery. 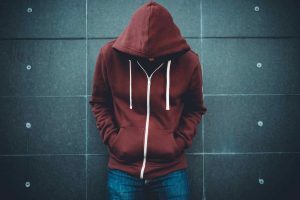 LGBTQ – Those who have identified as LGBTQ or are struggling with their sexual identity and lack a support system are at greater risk for depression. Please note that if you are experiencing manic episodes—drastic changes in one’s mood and energy states— then you may be suffering from Bipolar Disorder, formerly known a manic depression. In any case, our trained psychiatrists and therapists will help you find your diagnosis and proper treatment. Children and teens can be diagnosed with major depressive disorder, and exhibit the same symptoms as adults, however, additional symptoms include anger and irritability. Disruptive Mood Dysregulation Disorder (DMDD) is also a childhood depressive disorder that is characterized by several temper tantrums, as well as extreme anger and irritability. These symptoms are persistent and occur nearly every day for 12 months or more. A diagnosis of major depressive disorder or other depressive disorders requires an evaluation and diagnosis by a licensed clinician such as a psychiatrist or psychologist who specializes in depressive disorders. At Clarity Clinic, we specialize in depressive disorder assessments and treatment for children, teens, and adults aimed at understanding the severity, length and frequency of the symptoms, including ruling out a differential diagnosis, to determine the best treatment options. Both medication and psychotherapy in conjunction have been shown to be effective in helping reduce symptoms of major depressive disorders. At Clarity Clinic our experienced clinicians guide clients towards the proper treatments, including pharmacological and non-pharmacological interventions. Our psychiatrists ensure a proper diagnosis and take care in specialized medication management for clients treating depressive disorders through pharmacological treatment. Medication management coupled with psychotherapy has proven to be an effective treatment in reducing symptoms of depressive disorders and improve overall functioning. At Clarity Clinic, we have highly trained staff who specialize in diagnosing and treating depressive disorders. To schedule an appointment, click on one of the specialists below to schedule an initial evaluation to and discuss assessment, diagnosis and treatment options.